Andy Sellers represents clients in complex business transactions, including mergers and acquisitions, private equity and venture capital financings, and partnership and corporate tax matters. He also advises clients on general business issues, such as formation, restructuring, governance, and commercial and contractual matters. Andy works with an array of clients, including established companies (both private and public), high net-worth family offices, private equity funds, independent sponsors, high-growth technology companies, and early-stage startups. •	Advise private companies and equity-holders in acquisition or exit transactions and negotiate, structure and document such asset acquisitions, equity purchases, and mergers in deals valued from $1 Million to $700 Million. •	Close equity financing transactions ranging from convertible debt to later round private equity investment. •	Assist early-stage companies with formation to accomplish liability protection and optimal tax results. •	Act as outside general counsel on common legal needs including commercial contract review and drafting. •	Review, negotiate, and revise fund documents on behalf of investing limited partners and draft, negotiate, and complete fund formation on behalf of managing general partners. •	Plan and strategize with clients on tax matters to optimize business operations, business succession plans, exit events, acquisitions, and employee equity compensation. •	Structure and implement state and federal income tax strategies for private and public companies organized and taxed as partnerships and corporations. •	Provide pro bono services in partnership with the Utah Small Business Development Center. 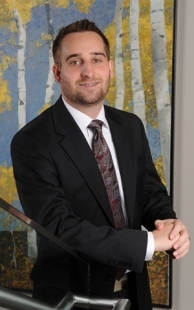 Andy enjoys working with clients to solve problems and achieve optimal outcomes.